You don’t get very far in life unless you put all your oars in the water and row together. You sort of have two choices, , , float along with the current and you will end up somewhere downstream, , , but probably not where you want to go. The other choice is to put your oars in the water and focus on your destination to go right to it. Put all the oars in and row together and you will get there even faster. 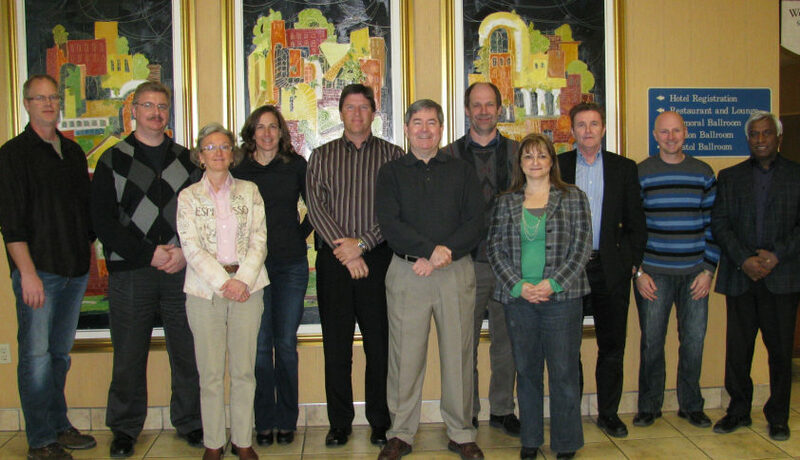 My management team did a short skit (a play) many years ago to show our employees what we mean by “working together”. I even gave them a souvenir to remember the event, , , a short oar, actually a boat paddle , , , still have mine in my office. Teamwork is not an easy thing for many of your people. Over 90% of them are independent and like to do things their way and do it themselves, , , not the best recipe for creating a team player. It’s up to the IT manager to help your employees learn how to work as a team and discover how valuable it is when you do. 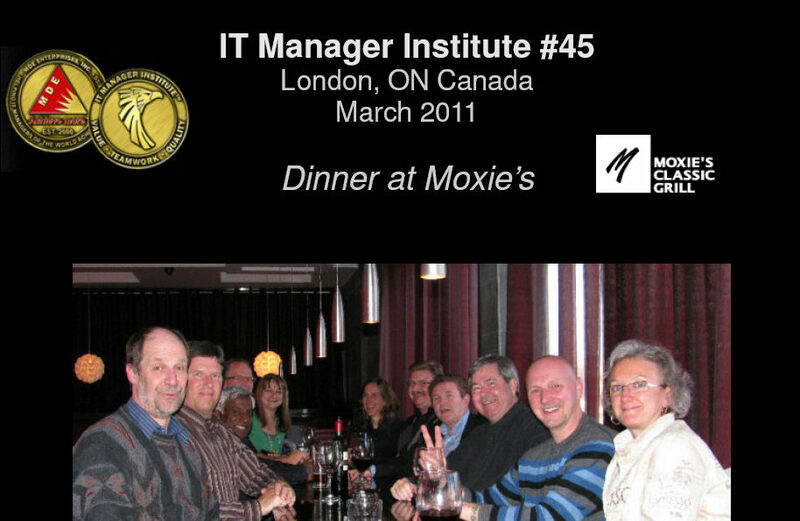 The IT Manager Institute is highlighted with a class dinner toward the end of the program. In last week’s class we held the dinner the night of the last day. Everyone was very relaxed as you will see from the photos. CLICK HERE or on the image above to take a look. What a great time we had. All of our dinners have been fun and every one of them unique. This one was great fun and the photos prove it. Moxie’s turned out to be a super place and this group of Canadians made it all the more enjoyable. There was some “jabbing” going on, but I always get the last jab, , , because I’m a professional when it comes to jabbing and having fun with people. See the dinner photo captions and you will see why I can say this. I was up early to catch a 6:00am flight back to the US from London, Ontario Canada where I taught our 45th IT Manager Institute. Hard to believe there have been so many. What a great group of IT managers to work with. All ten managers in this class are from the same company and they wanted to standardize their management approaches to a certain extent, , , something I heard from most of them on the first day. There have been many senior managers I’ve worked with decide to do this from many industries including government, healthcare, banking and manufacturing. They keep sending more students to the program so it’s a good sign they are receiving value from their investment. Canadians are always a fun group of people to work with, , , great sense of humor and very committed to what they are doing. I truly enjoyed this group and feel that I’ve known them much longer than just a week. Good luck and best of success guys and gals !! When you implement a change management process in your company for the first time, it’s a change of culture, , , and changing culture is very, very difficult. In my last post, I showed you two change management processes, , , well, at least one of them was a real process. The other is what our clients would like us to do, , , give us the request verbally and the hope we march off to our little IT world and create the result for them. I call this an “ad hoc” process, and many IT organizations operate in this mode. It’s very prevalent in small and medium size companies and not so unusual in big companies as well. What “seems” to work well may in fact not be working well at all if you were to conduct an honest and objective assessment with your clients. 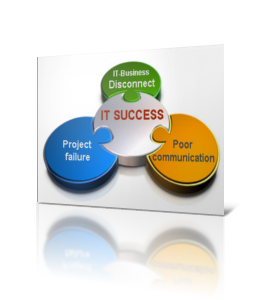 Many times the IT organization believes they are doing a good job when they are not. There are four parts where the client must spend time and effort that might be new for them. If they haven’t been participating in these steps already, there will be some level of kicking and screaming as you pull your client into the process. That’s right, , , there will be resistance! 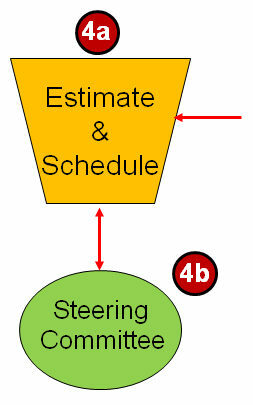 The four components are steps 1, 2, 4b and 5. Each of these steps require your client’s involvement and guess what, , , your client does not want to be involved. Your client just wants you to “do your job” and what that means to them is that you do all the work without them having to be involved. In a very small company, the client being minimally involved might work; but in a company of any size with lots going on, this method simply doesn’t work well for you. More importantly, it does not work well for your client! Remember, the main reason we want to introduce a change management process is to help us do a much better job in supporting our client. Clients view the work as an IT responsibility, not theirs. Clients don’t understand technology nor want to. Clients don’t want to do the extra work. They resist change imposed by IT. Let’s take a closer look at this last one, “They resist change imposed by IT.” Clients have a natural resistance to anything that comes from their IT support organization. Many times, they view you as not being part of the core competency of the company whereas they certainly view their own department as being a critical part of that core competency. Clients see IT as always forcing change upon them and often do not understand the change, , , they see IT as a group that constantly does things that makes their job more difficult. Another key reason for all of this is that many of your clients are high detail people, just like you and your people probably are. High detail people resist change. It is difficult, if not impossible, for you to deliver what the client wants unless you know exactly what the client needs. This means you need specific definition of the request and that means someone must document the specific programming changes needed to address the client’s issue. A good Business Analyst can help the client do this, but a BA should not work on this alone. IT should not take requests from everyone in the company. 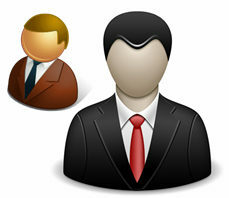 Department managers or designated leaders in their department should review and approve requests to be submitted to IT. This insures the right hand knows what the left hand is doing and will minimize duplication of requests. It also gives the department an opportunity t verify the request is worthwhile. Get ready for major kicking and screaming. I’ve never seen many clients want to be involved in this part because it takes time and they think IT should take care of it. The problem is that the client is in a much better position to determine which requests are most important for their department, , , not IT. Certainly, IT must sit at the table of a committee assigned responsibility to determine programming priorities and even be able to influence some of the decisions that help the programming staff improve productivity. But the key piece of this is that our programming priorities should be driven by the business and not by the IT organization. If you allow the IT organization to be solely responsible for determining programming priorities, it will be easier, , , however, you can never win when this is the case. The client will constantly believe you should be able to get more accomplished for them and will be frustrated with IT programming support. To be the most effective, we need a knowledge expert involved in the QA process from our client, not just an IT testing effort of new software changes. Be prepared for mor kicking and screaming, , , your client wants no part in this but it is also a critical component to help your team be the most productive you can be for your client, , , the real winner is the client. The results can be significant. Your team will get more work done for the client and the client will be in much better control of their own destiny. It’s something they want, but they probably won’t be able to see how all of this gets them there. What they will tend to see is that this is just a bunch of extra work with no guarantee things will get any better. I have never had a client organization sign up for a new change management process without some level of concern or pushing back. Expect resistance. The good news is that over time your client will embrace the process and see it simply as a way of how we get things done. A structured change management process is well worth the effort. Don’t be discouraged by early resistance, , , expect it and persevere through it because the benefits are well worth the effort to get there. In yesterday’s IT Manager Institute class, we had a very good discussion about the challenges of implementing a change management process. Introducing such a process is a culture change in many cases and trying to change culture can be very, very difficult. It was such a good discussion, I thought I would write a Blog post about it. In fact, there will be two posts. 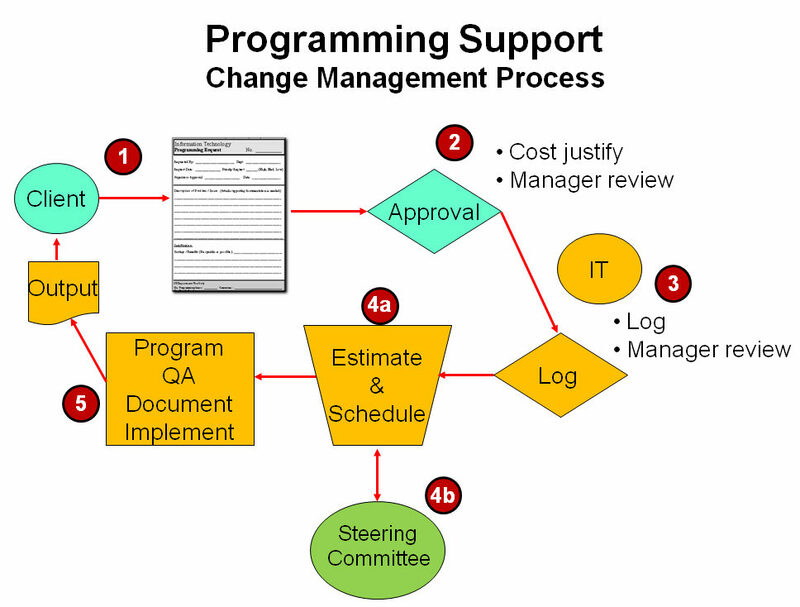 This first post focuses on creating and implementing a programming change management process. My next post will discuss the difficulties in doing this. Clients who submit programming change requests for new reports and new functionality want IT to “just do your job”. What this means is that they want to tell you what they want and they expect you to provide it for them. They don’t want to document anything or to get involved in the process, , , they would like to simply tell you verbally what they want and get it the next day. Unfortunately, this doesn’t work very well, especially as your company grows and there is more demand for programming support. You need to implement a structured change management process that assists your programming support team in their ability to support their clients. Understand this, , , when you implement a change management process in a company that has been able to request ad hoc programming changes for years, there will be resistance. In fact, there will probably be some kicking and screaming, , , it’s not going to happen without some resistance. In my next Blog post, I’ll talk about this aspect. Your client wants a very simple process. Simple and no involvement. They simply want to give you a call or tell you in the hallway that they want a report that does such and such, , , and expect you to know what they want, , , and they want it immediately. It’s hard to be successful when you have to be a mind reader. Here is a better change management process that helps your Programming Support team be more effective in supporting their clients. 1. Client fills out a request form. This can be an online ticket request or a paper document. The key is that the client needs to tell us exactly what they want. Your Business Analysts can be very helpful in assisting your client with this step, , , especially when you first introduce your change management process. 2. A client manager or supervisor reviews and approves the request. You don’t want to be accepting programming requests from all users in the company. When a manager or supervisor approves a request, it helps reduce duplication and allows the client to filter our requests that won’t be of real value to their organization. In this step, we log the programming request into our programming backlog of all requests and the Programming Support manager or one of his senior people does a quick review to evaluate appropriateness and a quick understanding of the request. I’ll break this into two parts. First, a senior programmer should estimate how many hours it will take to complete the project. I like to use the same person to do this so we have consistent estimations, , , and I ask the programmer to estimate in terms of an average programmer, , , not our best and not our worst. Some projects may need a project just to define the work required in order to develop a programming estimate due to the complexity of the request. The second part of this step is to schedule the request, , , i.e., assign it to a programmer and put into the schedule of work to be done in the coming month. In most cases, you have a lot more work than you can complete in a month, , , so requests must be reviewed and prioritized. It is much better for the priorities to be developed by representatives of the departments who are submitting the programming requests. If IT is required to be the one who prioritizes these requests, you can never win. For one thing, IT is not in the best position to determine what is truly the most important of these programming requests, , , your client is. Let me emphasize this point, , , you will not be as effective in supporting your client if you allow your IT organization to determine the priorities of when programming requests are worked on. I like to put a Programming Steering Committee together made up primarily of representatives of each of the departments who are submitting programming requests. A senior IT person, preferably a manager, should also have a seat at the table and be able to influence their decisions. 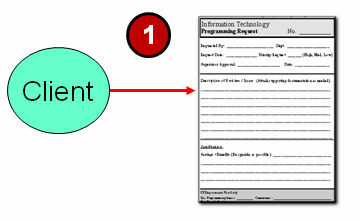 There will be times when two or three requests should be combined because the coding effort required can be reduced when requests are solved in the same area of the software code. This part of the process will be very difficult to implement because your clients don’t want to be involved, but it will be well worth the effort once they finally embrace the process and begin to work together to determine the priorities of programming work. 5. Once scheduled, IT programs the changes, tests the software and implements the changes. Programmers are assigned specific requests based upon their priority and once the programming is completed we test the software both within IT and by the user. Your quality is going to be much better when you test new code within the IT organization and also by a knowledge expert from your client department who submitted the request. Once we complete the process, the changes are put into production and the client receives the requested changes. A process like this is a bit more structured and requires more involvement than your client will want, , , but I can assure you the benefits are well worth the effort to implement a change management process like this. Ultimately, the biggest winner will be your client because it will help your team become more productive and predictable. Be sure to read my next post where I discuss the challenges in implementing a change management process. This morning I delegated responsibilities to a couple of our IT Manager Institute students. Ian Mackay got two assignments. First, he is responsible to keep the room at a temperature that everyone feels comfortable with. It’s a challenging assignment since the thermostat for our room seemed to work on either On or Off mode. Ian’s second responsibility is to be our paparazzi and to take photos of the class during the week. He took the photo in the last post I added about an hour ago. 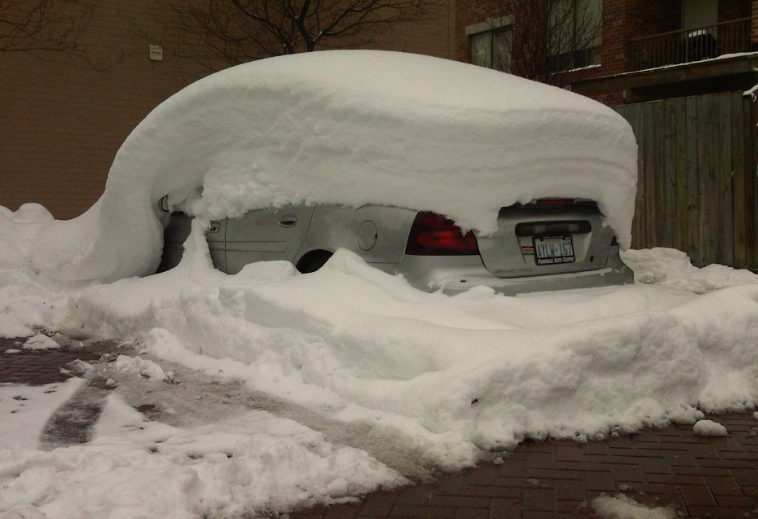 I told him I would like to have a couple of snow pictures to remember this class with so tonight he sent me the photo below. Like I said, , , it is very white and cold here. Just saw on the news it is -7 degrees Celsius, , , that’s in the 20’s Fahrenheit. Brrrrrr, , , a stark contrast from my Tanzania class in December where it was in the 90’s every day. A few days ago, I received a message from someone who was just promoted to IT Applications Manager, , , i.e., a Programming Support Manager who supports business applications in his company. I gave him an answer about which of my books and tools would be of assistance and told him I would post additional insight on my ITLever Blog, , , so here goes. Congratulations on your promotion. I assume your ten years of IT experience was probably as a programmer, , , which led to your selection as the next IT Applications Manager, sometimes called Programming Support Manager, Business Applications Manager, etc. This promotion takes you to a responsibility that is totally different from what your experience has been. Now, instead of depending predominately upon what you can do yourself, you are going to be depending upon other people on your team to get the job done. It can be a difficult transition unless you have a path to follow and tools to help you. The first thing I would do is review the ITLever post titled, New IT Manager needs a fast start and download the fast start tool. There is also a 20 Minute IT Manager training session on this topic you can watch. CLICK HERE to view. 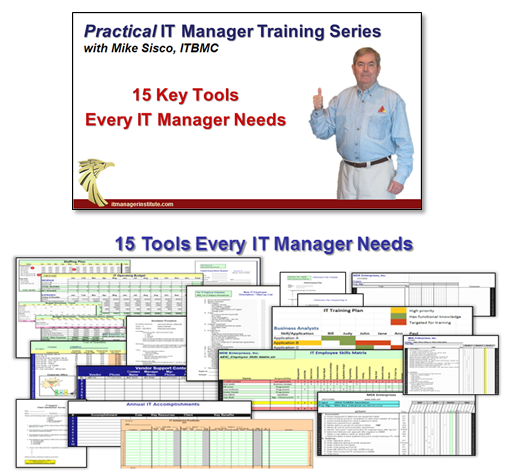 Second, I suggest you subscribe to my free Practical IT Manager Tips newsletter and read the free e-book, IT Management-101: fundamentals to achieve more when you subscribe at www.mde.net/free. 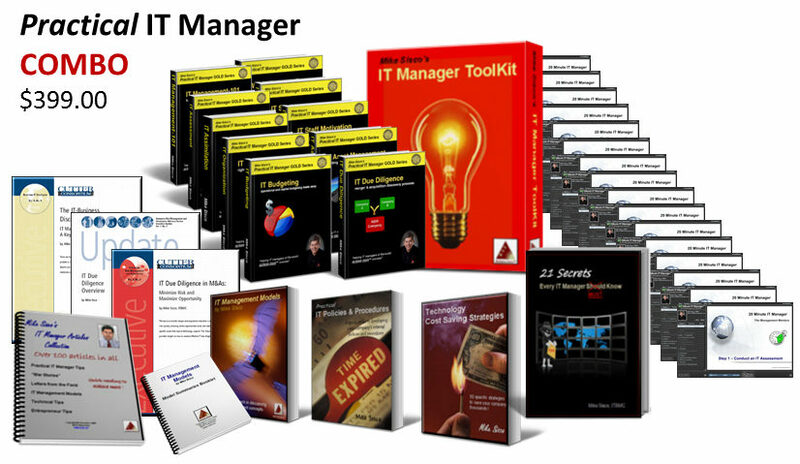 Third, browse through the posts of this ITLever Blog, , , lots of IT management insights and tools you can download. This is all about conducting an effective IT assessment. My book titled, Acquisition: IT Due Diligence lays out a step by step process and all the tools you need to determine the business needs and issues of your client. This is the demand side that should be what drives your IT support focus. 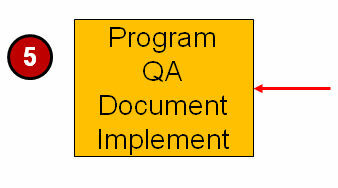 You must have a simple change management process to deliver programming support effectively. 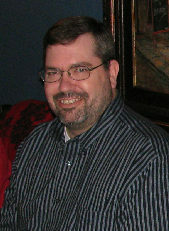 Review the 20 Minute IT Manager training session titled Managing a Programming Backlog. Quality is key. CLICK HERE to review the 20 Minute IT Manager training session titled, Improving Programming Quality. Communicate your results or no one will know what you are getting accomplished. Make it a point to report on your programming support status and completion activity on a monthly basis. I hope this information is helpful and I wish you the best of success in your new management role. One of the things that gets me excited and encourages me to work even harder is when I receive a positive message from one of my IT Manager Institute students or someone who is using one of my IT manager tools. The best messages are the ones that talk about the value they are getting from something they learned from me. Kelly Reed attended my IT Manager Institute class a couple of weeks ago, our 44th program since delivering the first one in 2003. He is getting some quick results and that’s exactly what we like to hear. 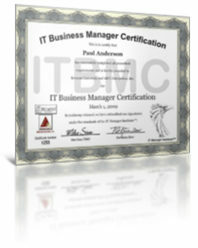 “Just wanted to let you know that I received my IT Business Manager Certificate. Thanks again for everything, I feel like I have true purpose and direction now as I embrace my new role. 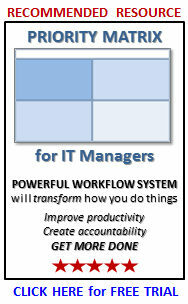 This is what it’s all about, , , helping IT managers of the world achieve more success. Thank you Kelly for sharing with me. We receive hundreds of positive comments like this one every year and it always “makes my day” when I hear about someone achieving more success in their company. GREAT STUFF !! In a few situations, I’ve actually had managers tell me on the last day of the IT Manager Institute class that they have talked to people in their company about something they learned in class and have already started to find some cost savings or beginning to use a new management tool. Do you think a CFO or CEO notices this when you start focusing on the business value opportunities that exist in managing an IT organization, , , or finding ways to save money in your company without being told to look for it? You bet they do, , , and as in Kelly’s case his CFO noticed a change almost immediately upon his return to their company. What’s even better is that his CFO told him about it and realizes the value of the company’s investment in Kelly’s IT manager training. Let me say this again, , , POWERFUL STUFF for both Kelly and his company!! 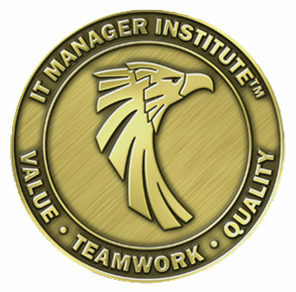 The IT Manager Institute is available in classroom and in an online self study format, , , same material including the ability to earn your IT Business Manager Certification (ITBMC). I received an interesting question from one of my Practical IT Manager Newsletter subscribers this morning. I get this type of question a lot so thought I would post it along with my response. It is a great question and I hope my response helps my subscriber and anyone who might read this post. “I have been working with this organization for over 10 years now. I’m the IT manager, and initially started off with only one engineer working (permanent headcount) under me. Over the years the business grew, I now have four engineers (outsourced) reporting to me. Your management team is correct in wanting you to spend more time better understanding your client and their needs and issues and less time focusing on the technology. The fact you have been there for 10 years says they have a lot of confidence in you and that you are pretty much a permanent fixture with everyone, , , but probably more so as a technician than a true manager. The other thing I picked up in your message is that they want you to spend more time with the other managers of the company. This is good stuff and yet another vote of confidence in you from your senior managers. As you grow, your job must become more of a true manager role rather than a technical role. It’s understandable that you have had to be technical up until now and operate at best in a “player/coach” mode. Because of the minimal staff, you have had to handle much of the technical responsibilities yourself. Your ability to pull away from being the technical expert should take place gradually over time. At even the small number of staff you have in place now, you need to become more of the visionary, planner and one who can delegate technology initiatives, , , not the doer. You also need to be able to spend more time with your clients to better understand their needs and issues, , , not in keeping your technical skills at an “expert” level. As your company grows, senior management needs you to become more of a business manager who knows how to identify appropriate technology initiatives and place the appropriate focus on them in order to support the real business, , , your senior managers and department managers and their employees. Pulling back is not easy. In fact, it may be the hardest transition you will ever go through, , , but it truly is necessary for you to gain a higher level perspective and to become a business manager and partner of your clients. “Having coffee with the management team” is another way of saying they need you to raise your perspective of things from a purely technical focus to more of a business minded focus and someone who can become a true business partner with the managers in the company. 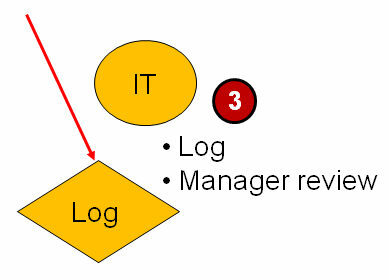 If your managers are suggesting you need to spend more time to insure technology is aligned with the business, they may already feel like your focus is not 100% focused on the business, , , in other words, you are working on things and spending money in areas they don’t fully understand the reasoning for or the business value it will have. If they feel that way, even though they may not be able to articulate the issue very well, there is a very good chance you are out of sync with the business side of your company, , , and may not realize it. Studies and surveys suggest that over 50% of IT organizations around the world are out of sync with their business client, , , and this trend seems to remain constant year after year. The challenge is that most IT managers who are out of sync do not realize it and senior managers aren’t really sure. Even if they were sure, they probably don’t know how to tell you because they don’t really understand technology. Be aware that if your management team is suggesting you need to focus more on keeping the IT organization “aligned with the business”, your focus may already be out of sync. If so, it is critical that you determine if this is the case and put into motion the things that will correct it. A big part of the transition challenge is that you will want to keep your hands in the technology. It’s something we like to do, , , but as a company grows it needs something different from the IT manager. I would look at your situation not so much as a restructuring of the organization but more of a refocus on how you go about day to day support. The manager employee structure essentially remains the same, , , it is where you spend your time on a daily basis that’s different. A gradual shift in focus is what makes sense from what I understand of your situation. 1. Block out an hour or two to have some “think” time. 2. List all the responsibilities you have and also the type of work you do from day to day. You might need to create an activity log for a week or two to actually see what you do on a daily basis. I can almost guarantee you it’s a lot more technical detail than you probably think it is. 3. Take the list and determine what can be delegated to others on your team. Be specific and think about what you must do in order to transition each responsibility to someone else. This means you have to “let go” and it may require training your employees for them to take on certain responsibilities. Your focus needs to be able to develop other experts in these areas so the company can depend less and less on you personally. This might cause you concern, but if you are doing a good job in supporting your company, it will actually position you for more responsibility in the company. Remember, transitioning responsibility does not mean you are not involved or should not know what is going on, , , it simply means you have someone else doing the detail work. Part of the work should be to keep you informed. 4. Sit down with your senior management team and each department manager to determine what they think about the IT support you and your team is providing. Ask them a specific question as to whether they think your IT team is focused on the appropriate issues and needs of the company. Don’t try to justify yourself, , , listen objectively to what they have to say and put it into context with feedback from all the other managers. A sample Client Satisfaction Survey is available at https://itlever.com/2010/05/24/are-your-clients-happy/. If you learn the answers to these questions, it will tell you quite a lot about how your clients feel about their IT support. Don’t send this survey out, , , visit your clients personally and interview them. You will get a lot more from an interview than you will from asking a survey to be filled out. Take a look at https://itlever.com/2011/01/08/dont-send-client-surveys/ to better understand this. 5. Analyze the data from the surveys and determine if there is a consistent message from your clients. If so, learn what the trends are and identify what you need to do to address their concerns. 6. Develop a transition plan that outlines your focus on transitioning specific technology responsibilities to others on your team and possibly to new hires you will add in the future. Place priority on the things that help you address client concerns from your survey. 7. Share your transition of responsibilities plan with your senior managers so they know you are serious about taking their advice. You will also need to provide insight in how you plan to spend more time with your clients to better understand their business needs and issues. My book, Acquisition: IT Due Diligence, can help you conduct an effective IT assessment and learn whether there is a disconnect between IT and the business. See http://www.mde.net/cio/page11.html for more information. Unless you are able to raise your perspective and back away from the technical detail, it is a recipe that will surely limit your career opportunities.